Blast Out your marketing message to Home Business's Social Media universe! 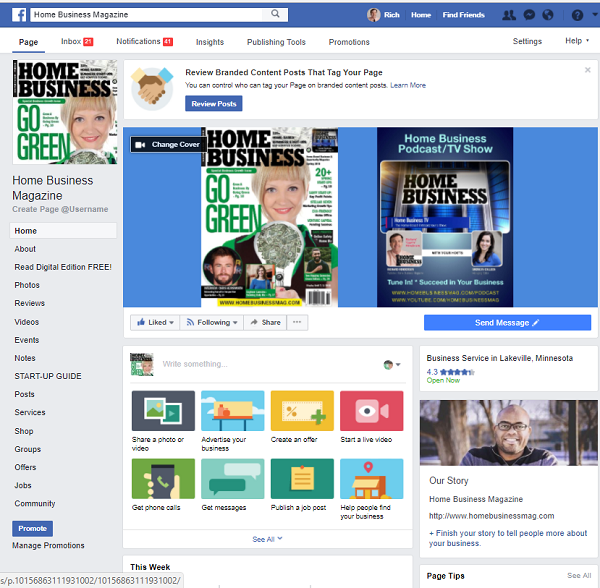 Blast Out your marketing message to Home Business Magazine's Social Media Universe for Facebook, Twitter and Instagram. Sent within one business day of ordering. Make your Social Media connection!